These days, minor improvements can lead to dramatic changes for homeowners across British Columbia looking for a high-quality outcome for their home remodeling project, whether it consists of new flooring, the addition of a freestanding tub, or a complete kitchen renovation. If you are planning on implementing improvements into your kitchen design, now may be the perfect time to introduce luxurious elements that truly make the home shine! 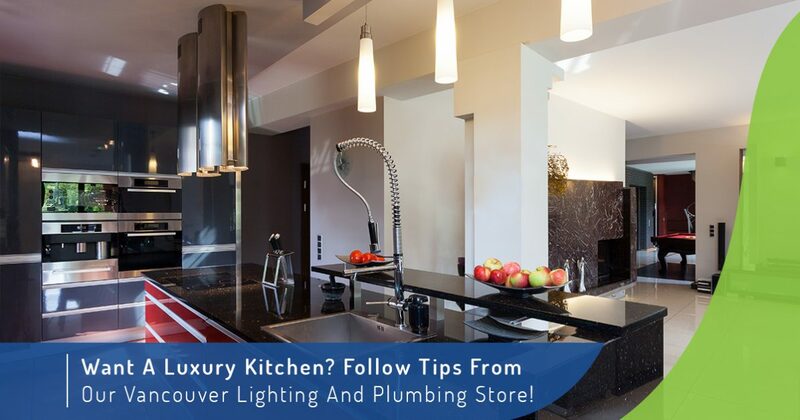 Homeowners looking for a high-end plumbing store in Vancouver or Surrey can stop by one of our two lighting and plumbing showrooms for assistance. SaveMore Plumbing & Lighting is proud to stock the best products in the industry to deliver beautiful, efficient, and long-lasting designs for every budget. Regardless of the size of your kitchen, high-end remodeling products can be used selectively to increase the home’s value without erasing the budget. Today, we’ll discuss a few tips that may help you achieve the luxurious kitchen of your dreams. When you’re ready, be sure to stop by one of our home improvement stores to find the perfect plumbing supplies (and home lighting) for your home or business! One cost-effective approach that enacts small changes on a large scale is the replacement of your existing pulls and knobs. This hardware takes up very little real estate, yet in the view of your entire kitchen, it can help to take the look and feel of the space to the next level. Keep an eye out for deals or specials leading up to your kitchen remodel, as quality hardware does not always have to come with a high price tag. When planned and executed properly, new cabinet hardware and kitchen accessories can work in tandem to create beauty, depth, and value for your home’s most versatile space. SaveMore has the kitchen accessories and plumbing supplies needed to outfit every style, and we’re confident that we can help you find success! Behind the fancy new hardware, homeowners can take an extra step to invest in roll-out shelves. This modern technology will quickly become your favourite investment as you collect pots and pans more conveniently, avoiding that uncomfortable process of bending down to dig through the back of your kitchen cabinets. These devices can be personalized to match every design, delivering convenience in addition to luxurious looks. Many homeowners across Vancouver have relied on kitchen cabinet refacing services to deliver a high-quality exterior finish, but keep in mind that a luxury kitchen will have cabinets that are beautiful inside and out! One straightforward way to infuse value into your kitchen is to invest in premium countertop materials. Homeowners across Canada have found success in incorporating granite, marble, wood, and tile countertops into their design. Luxury kitchens rely on this surface to create a big impact, as the counters often serve as the point of division between the floors and cabinets. You can choose to go with the high-quality look and feel of marble, or seek out zebrawood or teak to achieve a rich look with a personalized touch. No matter your style or material preference, be sure to carefully plan the look of your high-end kitchen carefully, relying on complementary blends between the ceiling, cabinet, counters, and floor. Under-cabinet lighting — Achieve convenient and affordable task lighting by installing lights under your cabinets. This will be the perfect opportunity to show off those new countertops! Cabinet lighting — Incorporate glass or go with open-air and install quality cabinet lighting to spotlight how luxurious your new kitchen is. These simple lighting devices provide exceptional value. 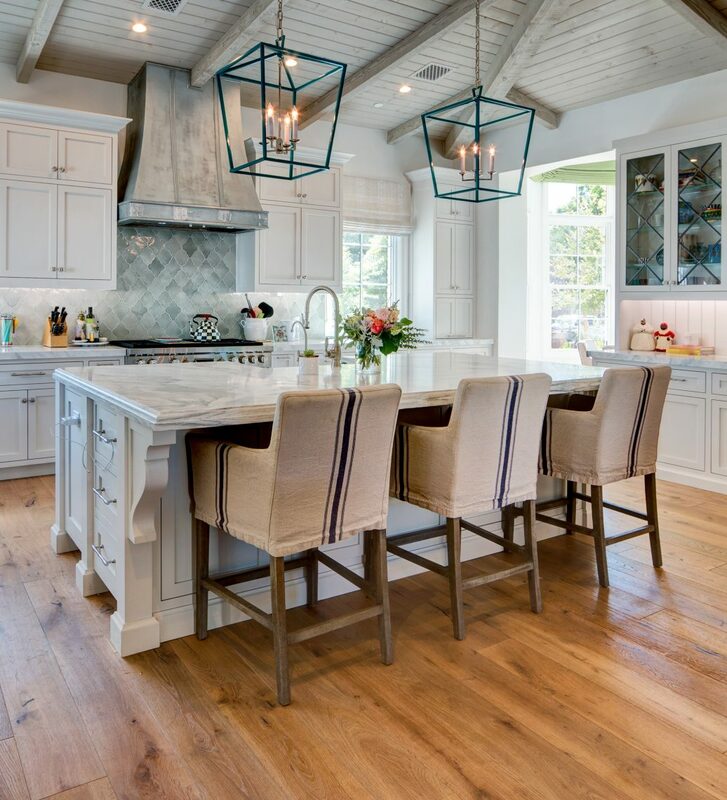 Overhead lighting — Bask your kitchen in the warm glow of inviting flush-mounts, semi-flush mounts, pendants, recessed fixtures, or one of the many styles available. Dimmer switches — It can be hard to ignore the versatility of these switches for increasing your ability to set the lighting for any activity. Perfectly balance your lighting with ease! There are many ways for home remodelers and owners alike to achieve high-quality outcomes for their kitchen projects that exude luxury, longevity, and affordability. Next time, we’ll continue this topic by discussing a few additional tips to enhance your kitchen renovations, including the introduction of high-end plumbing supplies such as faucets and basins. If you’re looking for the best products and expert advice, be sure to stop by our lighting and plumbing stores in Vancouver or Surrey for assistance. SaveMore Plumbing & Lighting delivers exceptional quality and simplicity for all high-end remodeling projects, and will help you find the best fit for your home design. Contact us today to learn more, and be sure to by our stop home improvement showroom for high-quality results!